Having your kids help out in the kitchen can seem daunting. 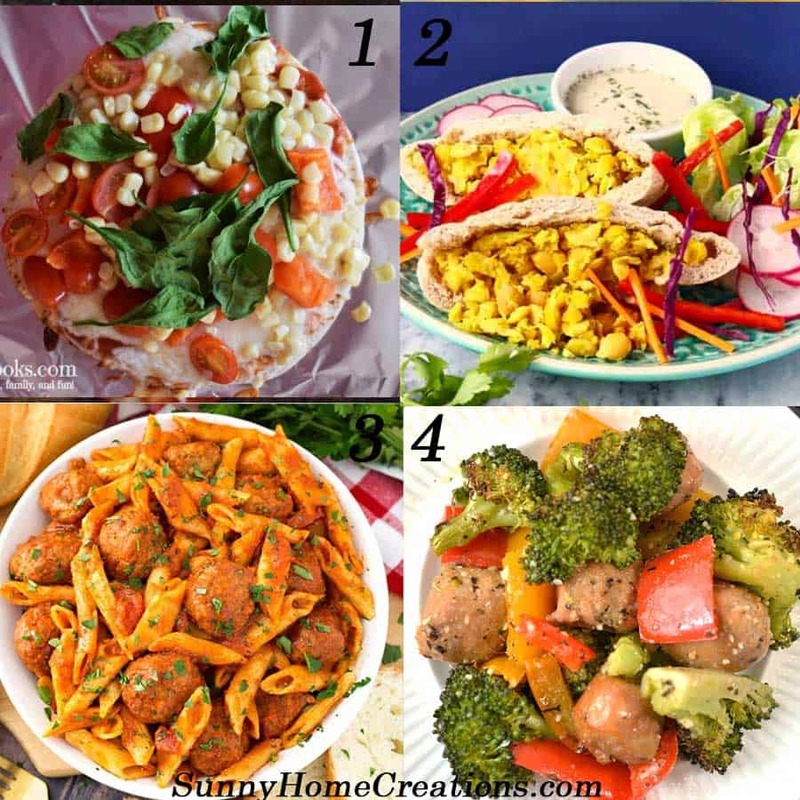 I’ve compiled many super easy cooking recipes for kids. 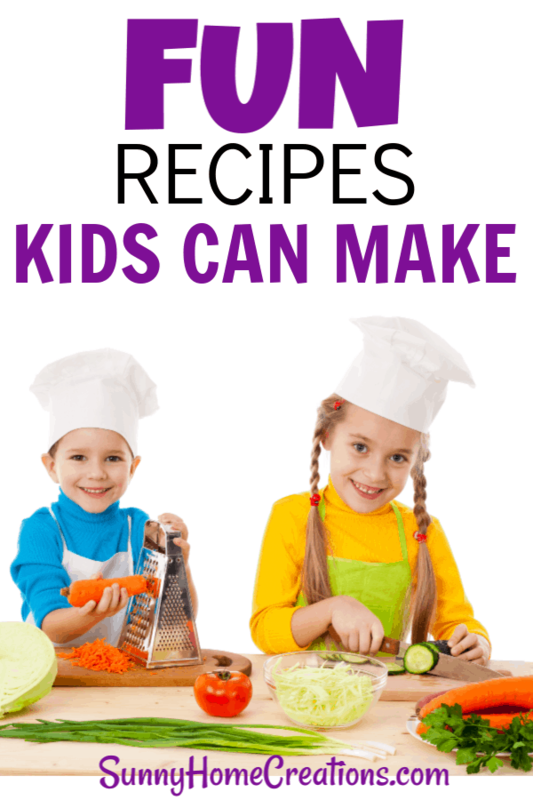 If you have younger kids, these recipes are perfect for them to help you with in the kitchen. If your kids are a bit older, these are great for them to take charge and make themselves. You are the best judge of where your child is at with cooking skills, they might be able to make the recipes from start to finish all by themselves or maybe they can do almost everything, but there is a step or two they need your help with. Some of these recipes do require using an oven if this is the case and you aren’t comfortable with your child using the oven (or they aren’t able to do so responsibly or still too young) then they can do everything up until the oven part. At this point, you can step in and make sure to demonstrate how you put the food into the oven carefully and without getting burnt. And then, when the food is done, you can demonstrate how to remove the food without being burnt. These do require the use of your oven, so you will want to make sure your child can safely use it or else do the oven part yourself after your child has made the pizzas. Plus, there are three different types they have directions for. 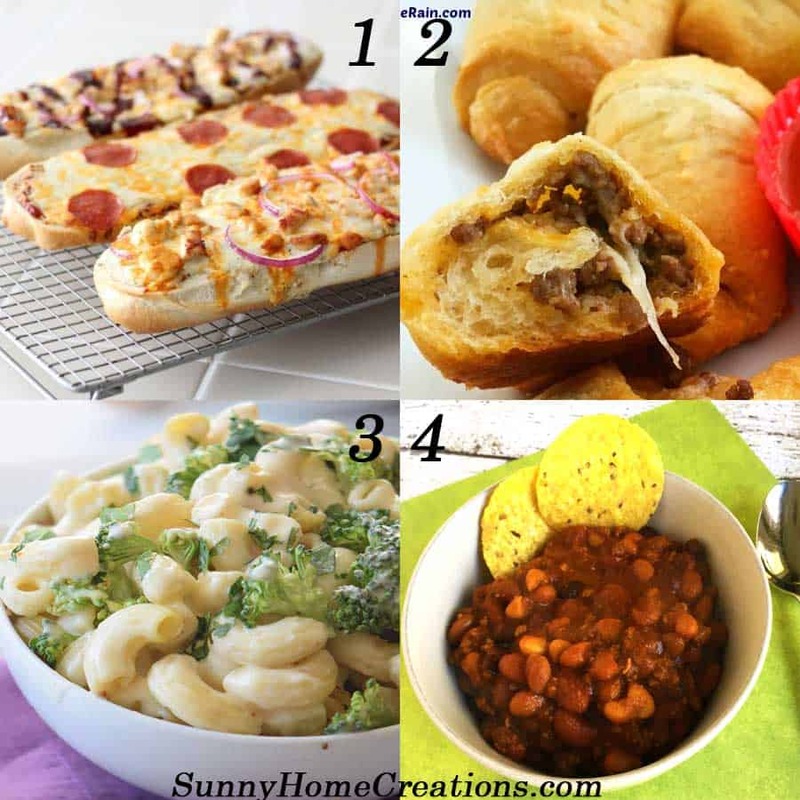 You can find these fun French bread pizzas at Glue Sticks Blog. These stuffed taco crescent rolls are great for a taco Tuesday meal that your child can whip up on their own. You can find these at taco crescent rolls at Dancing Through the Rain. I don’t know about your kids, but mine love anything with noodles and cheese. This recipe for broccoli alfredo is great for your kids to make, that also tastes delicious. You can find the recipe for broccoli alfredo at Kids in the Kitchen. This 4 ingredient chili is perfect for kids to feel a big sense of accomplishment at making a main dish by themselves. It does use the stove, so make sure your kiddo can handle cooking on the stove safely. You can find this easy 4 ingredient chili at Really Are You Serious. Another pizza recipe, but different than the first. 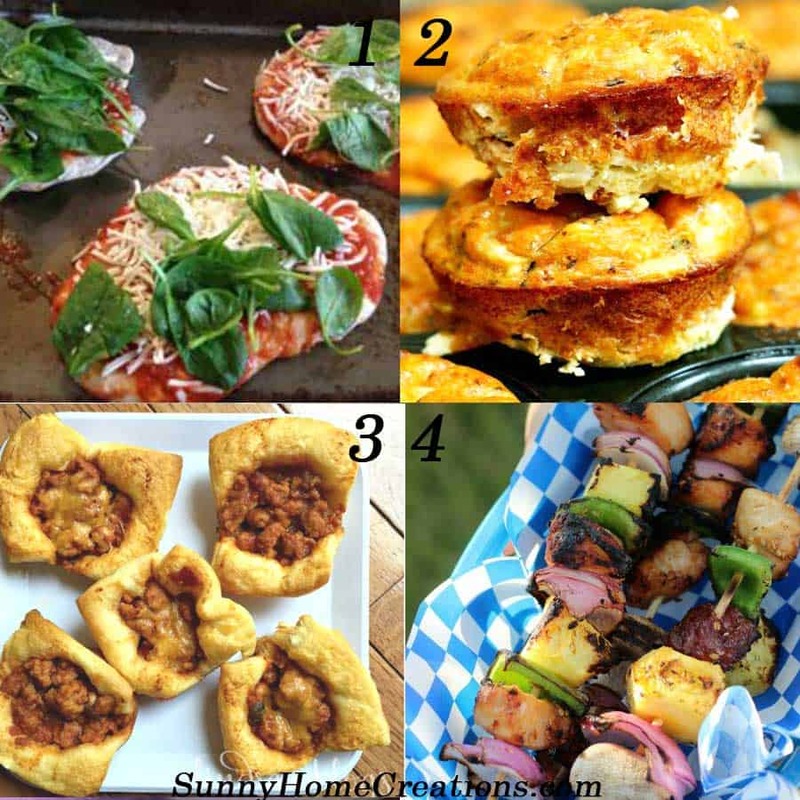 These mini pizzas can be topped with an assortment of toppings. Go with whatever your kiddo likes eating. Or do something adventurous. You can find these mini pizzas at the Mama Maven. My kids love eating egg muffins for breakfast. These fit right in with what they love – and it is easy so they can make them all by themselves. You can find these mini Southwestern style frittatas at Pink Fortitude. These are so good! We used to make something very similar to these. They use pre-made ingredients to make it really easy. And they are perfect for little kids to help out with. You can find these sloppy joe mini pies at So Easy Being Green. Kebabs are the perfect recipe to make with your kids. Check out the kebabs they made at the Glue Stick Blog. Not only did they make kebabs with meat and veggies, but they also made fruit kababs. Fruit kababs are perfect for the youngest helpers so they aren’t handling raw meat. For young kids that are a little older preparing, all the kebabs are perfect. These healthy pita pizzas are perfect for your son or daughter to add toppings to on their own. You can put it into the oven unless your child is a bit older and able to do so without being burnt. These healthy pizzas can be found at Aileen Cooks. If your kiddo likes Middle Eastern food, they will be amazed that they can make this with you. This falafel doesn’t take as long to make and is great for kids to help you in the kitchen when making it. You can find this Lazy Falafel recipe at Rhians Recipes. This Instant Pot Meatball Pasta Dinner is super, super easy to make. Everything is already pre-packaged so there isn’t a lot of prep work with this one. Although, if you are short on time, your kiddo is in the process of learning how to use the Instant Pot – this is a great recipe for them to help with. You can find this Instant Pot Meatball Pasta Dinner at Simple Happy Foodie. This is a dinner that requires a bit of cutting up vegetables and slicing sausage prep. A great way for your kids to practice their knife skills. You can find this sheet pan sausage and vegetable recipe at Mom Foodie. Another great recipe for kids to help out with. There is measuring of ingredients, mixing, coating chicken – all sorts of fun (and messy!) tasks for your child to help with. Find out how to make these quinoa crusted chicken fingers at In the Kids Kitchen. This recipe is an interesting take on chicken casserole. It’s made in muffin tins. This is a great way to serve casserole – seems like it might be more “fun” and less mess. These awesome alien chicken casserole can be found at Mommy Needs Cookies. These cauliflower nuggets are a fun alternative to chicken nuggets. Plus, these are a great way to up the amount of veggies in your diet. You can find these cauliflower nuggets at the Soccer Mom Blog. Another great, simple dinner your kids can help you make. 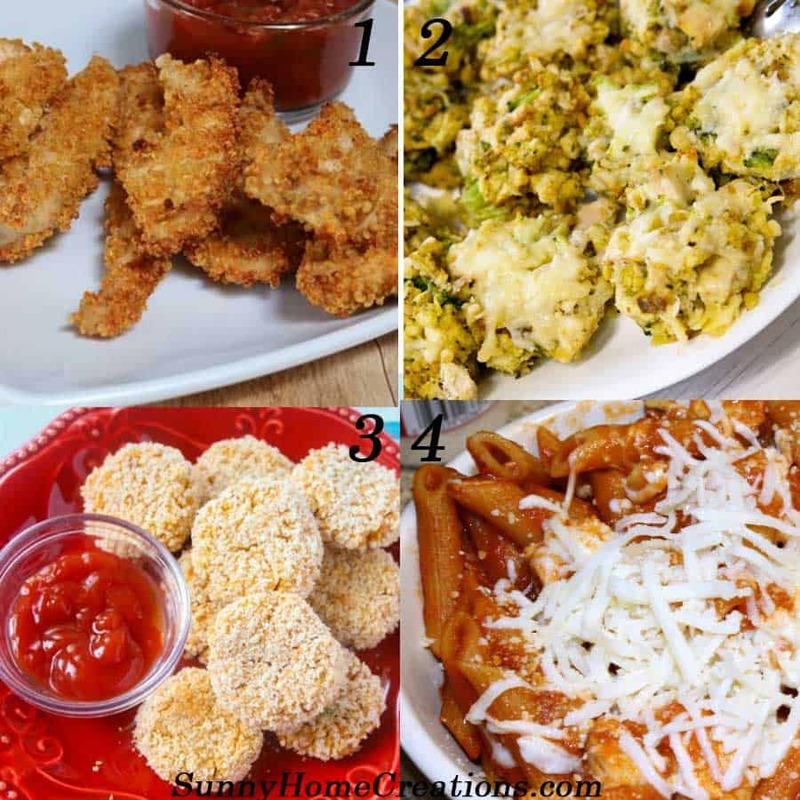 You can find this easy chicken parmesan dinner recipe at Cook Eat Go. If you are looking for a great, bready side dish, these cheddar bacon biscuits might just be the thing to have! Your little one will definitely want to help make these biscuits. You can find these cheddar bacon biscuits at Pink Fortitude. We love making homemade crackers in our house. Especially, when my kids were little and it gave them another chance to use these mini cookie cutters. The only problem was, we’d always eat the crackers almost as fast as we could make them. These homemade goldfish crackers are also gluten-free and vegan. Great for those of you who have kids with food allergies. You can find these homemade goldfish crackers at Strength and Sunshine. Here is another healthy recipe that you probably wouldn’t realize is healthy just by eating it. Have fun with your kiddo making these easy healthy chickpea cookies from This Healthy Kitchen. This recipe has berries, chocolate and is super easy to make – you can’t beat that when you are making a recipe with your kids! You can find these chocolate covered strawberries at Tasty Galaxy. These oatmeal energy bars are super easy for kids to make all by themselves. No baking is needed, just chilling in the fridge, making them perfect for kiddos who can read to take control and do everything by themselves. You can find these fun oatmeal energy balls at Flavours Treat. 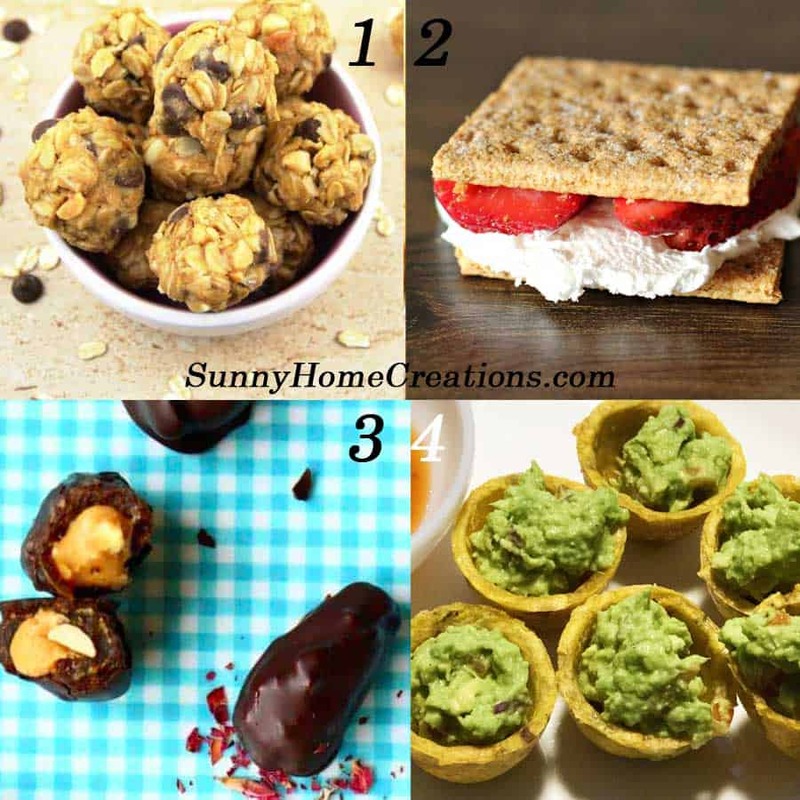 These are super delicious…and easy! The only ingredients you need are strawberries, cool whip (or whipped cream) and graham crackers! Go here to find out exactly how to make these delicious Fresh Strawberry Shortcake Crackers. It might surprise you that these healthy Snickers Ice Cream Bites are actually healthy. They don’t contain Snickers at all, but a healthy food item you would never think of to make the Snickers taste of them. Find out for your self what these Snickers Ice Cream Bites really have in them at Rhians Recipes. A couple of my kids make guacamole whenever we are having it. They helped with making it for several years, then we challenged them to try to make it by themselves and they did a great job! We’ve never tried doing guac with plantain cups. We had plantains in recipes before, but I’ve never heard of these cups. We’ll have to try them next time we make guacamole. If you want to check it out, you can find the recipe for fresh guacamole plantain cups at Tales of a Tired Mom. Do your kids like eating coconut? If so, these no-bake coconut snowballs are sure to be a hit! You can find these no-bake coconut snowballs at Veggie Society. Did you grow up eating muddy buddies? haha, I didn’t, but apparently, it is a fairly popular food item that many people grew up with. 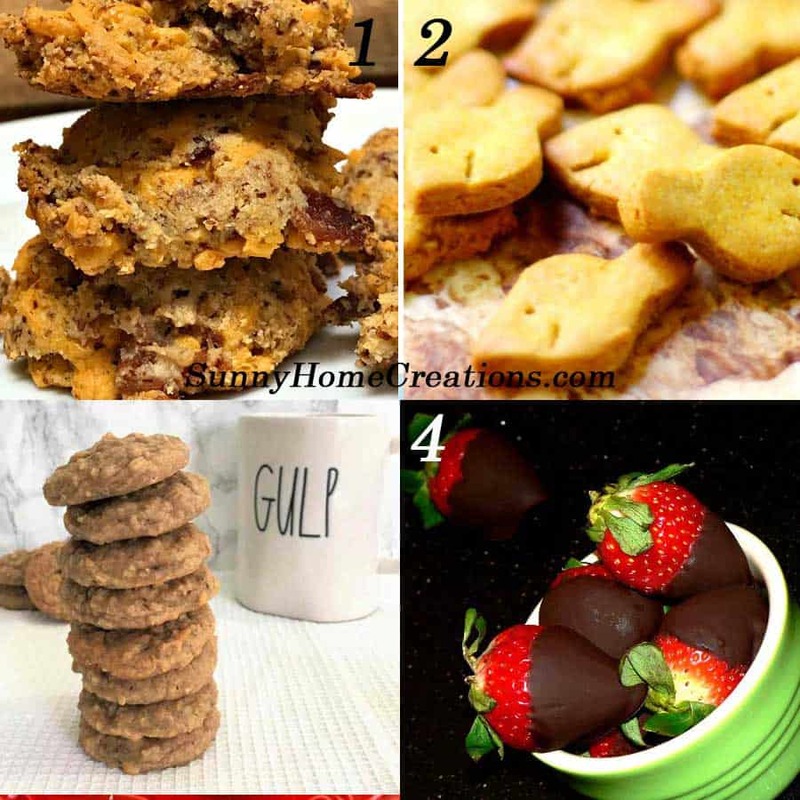 It is made with Chex, peanut butter as well as some other yummy goodness. Bonus – it is super easy to make. If your child can read a recipe and measure out ingredients, they shouldn’t have any problem making this. You can find this super easy healthy peanut butter cup muddy buddies recipe at Strength and Sunshine. 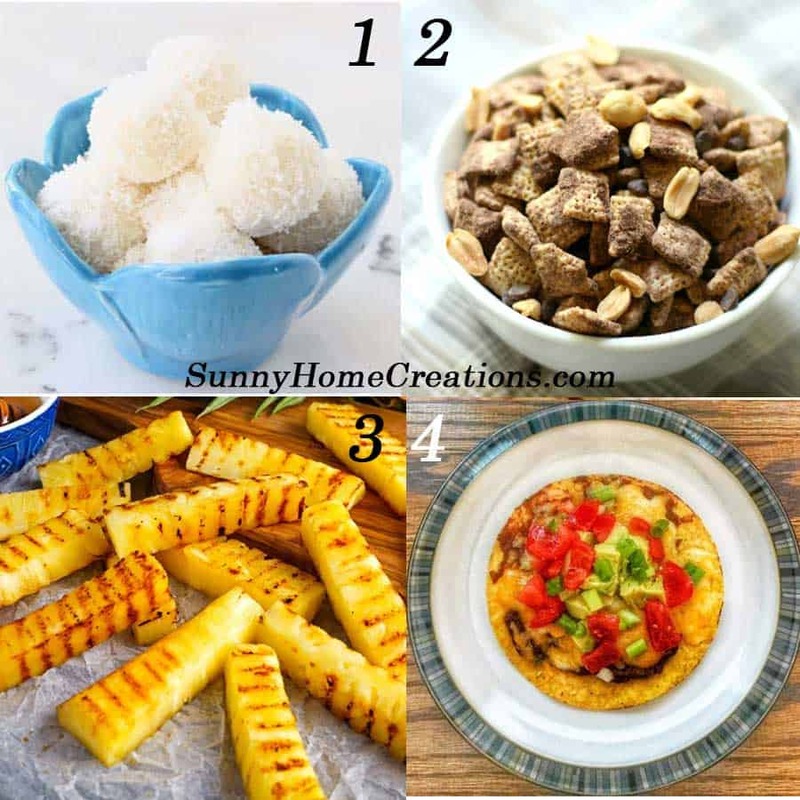 If you have an air fryer and your kids like pineapple, these honey glazed pineapple fries might be a ton of fun for your kiddos to make. Fries are always yummy and a special treat, even when you are using fruit instead of the typical potatoes! You can find these Air Fried Pineapple Fries at Recipe This. We love Mexican food in our house and these black bean tostadas look like they would be a hit with my kids! These black bean tostadas from Jasper and Willow are easy enough for some kids to be able to make themselves. For younger kids, you can help them out and they can still feel as though they made dinner. I hope you found some fun and easy recipes for your kids to make either with you or by themselves. If you liked this post, I’d love for you to “Pin It’! Great round up! Thanks for including my chickpea cookie recipe!